A new paper from our team has been published in Animal Behaviour. 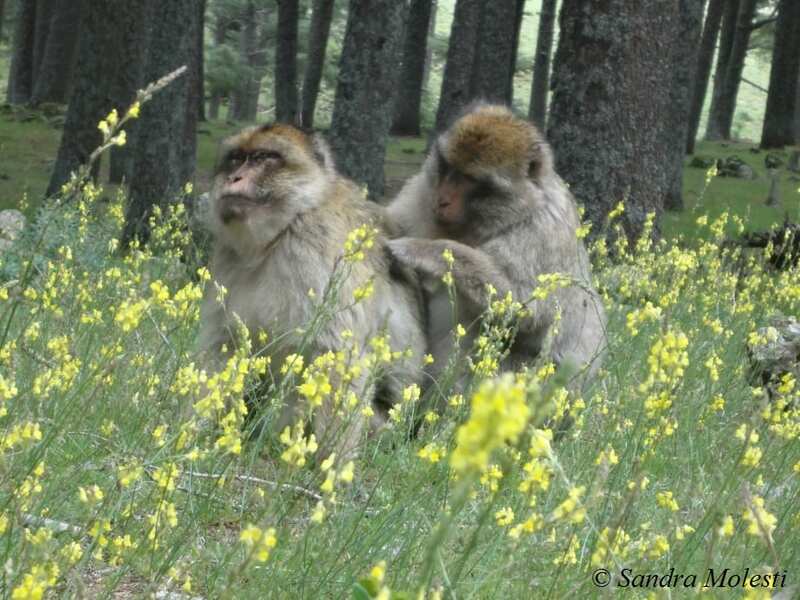 The paper looks at anxiety following grooming in wild Barbary macaques. This paper is the first one to assess post-grooming anxiety in the donor and recipient of the same grooming interactions in a wild non-human primate species. Allo-grooming has hygienic and social functions. Moreover, anxiety is thought to be reduced in the first few minutes after a grooming interaction is terminated. Few data exist on post-grooming reduction in anxiety, and mostly concern the recipient of grooming and captive animals. We analysed whether anxiety is reduced after grooming and whether this reduction differs between the donor and recipient of grooming. We collected 10 min post-grooming and matched-control (PG-MC) focal data on the donor and recipient of the same grooming interaction in wild Barbary macaques. We recorded all the occurrences of self-directed behaviours (i.e. self-scratching and self-grooming) as these are reliable indicators of anxiety. The occurrence of self-directed behaviour was greater in PGs than in MCs for both the donor and recipient. This increase in post-grooming anxiety was more evident for the recipient than for the donor. The post-grooming increase in anxiety was not due to a higher risk of receiving aggression after grooming. Unlike previous studies, our results indicate that anxiety may increase after grooming in Barbary macaques. If so, the social and hygienic benefits of grooming may outweigh its short-term anxiety cost. Self-directed behaviour may increase because of the emotional response to the change in activity (e.g. from grooming to travelling) and/or frustration at the termination of grooming. Our findings highlight the need to investigate further the link between emotions and grooming. ← A new Doctor in town!